Welcome to the 2002 SHRINE TO SHERYL. I hope you enjoy my SHRINE TO SHERYL as much as I have enjoyed making it. If you love Sheryl then I hope you like my page, if you don't love Sheryl then hopefully after a visit to the SHRINE, you will be converted! 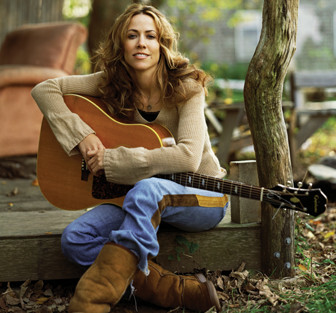 Sheryl's new album "C'mon, C'mon" is due for release on April 16, 2002. The album features the single "Soak Up The Sun" which is playing on radio stations and on MTV and VH1 now. Pre-Order your copy from cdnow.com The track list includes: Steve McQueen, Soak up the Sun, You're an Original, Safe and Sound, C'mon, C'mon, It's so easy, Over You, Lucky Kid, Diamond Road, It's Only Love, Abilene, Hole in my Pocket, and Weather Channel.